An estate jewelry piece: this garnet bracelet features a contemporary design with one-inch wide handmade silver bracelet with handmade clasp. 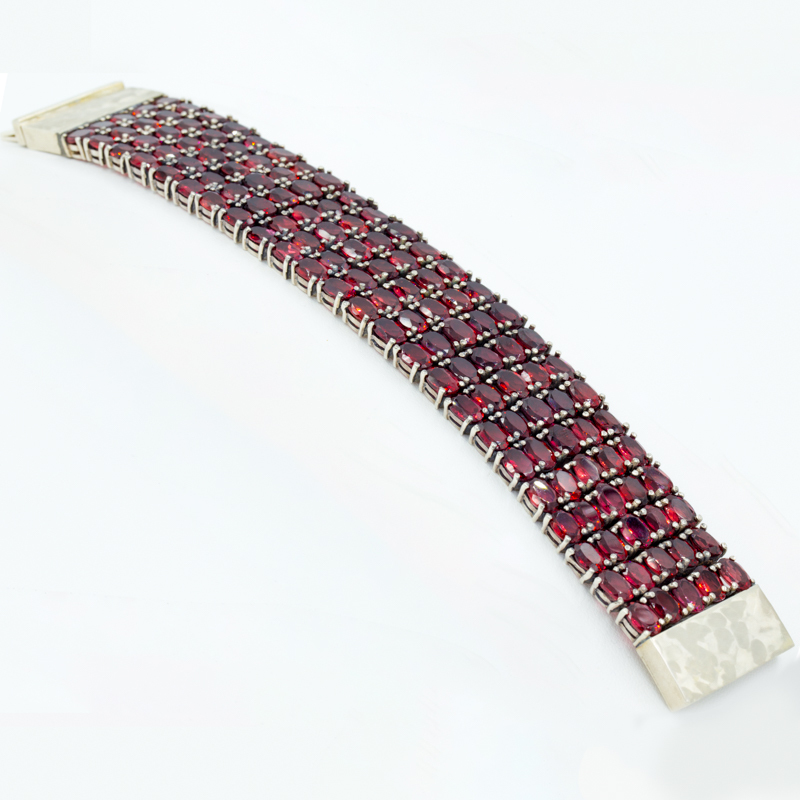 Bracelet set with 120 oval, faceted almandine garnets; ETW 105cts. ; set in 3 rows.